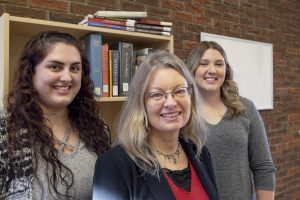 We are delighted with the news that Dr. Catherine Caufield has been awarded an Insight Development Grant (IDG) from the Social Sciences and Humanities Research Council of Canada (SSHRC) for the project Our Canada: Jewish-Canadian Women Writers. The federal granting agency announced this year’s awards for post-secondary researchers from across Canada on January 30. Our Canada: Jewish-Canadian Women Writers builds knowledge and understanding about Jews, Jewish women, Canadian literature, and Canadian culture with its many connections in the global world. Concordia University of Edmonton, Canada’s pre-eminent small university, is at the forefront of supporting scholars of all ranks in their work and demonstrating to Canadians the value and contributions of social sciences and humanities research in our society. Dr. Catherine Caufield is a sessional instructor with the Faculty of Arts at Concordia University of Edmonton. Concordia students Candace Gridzak and Megan Palmer join her as Research Assistants on the project. Delving into the writings of authors such as Adele Wiseman, Anne Michaels, Nancy Richler, and Alison Pick, the research highlights knowledge within the broad range of diasporic Jewish communities in Canada and elsewhere, and is timely for debate and discussion in the context of current (re)considerations of the multicultural paradigm that has officially shaped Canadian identity for over thirty years. “I am honoured to explore the works of these authors, to reflect on their perspectives and experiences of Canada since the 1950s, and to communicate to scholars and other Canadians ways in which these writers deepen our understanding of our diverse country,” says Dr. Caufield. Dr. Brent Bradford, Assistant Professor in the Faculty of Education at Concordia University of Edmonton, was also part of a successful SSHRC Insight Development Grant, as co-applicant with Dr. Stephen Berg from UBC Okanagan. 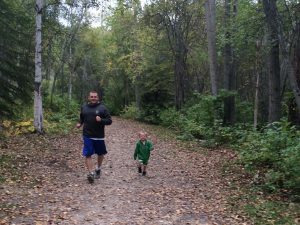 An Investigation into the Physical Activity Levels of Children in Outdoor Early Learning Environments aims to determine the relationship between early childhood outdoor environments and its impact on children’s physical activity levels. The research will take place in both Alberta and BC over the next two years. SSHRC’s Insight Development Grants program supports research in its initial stages. The grants enable the development of new research questions, as well as experimentation with new methods, theoretical approaches and/or ideas. Research at Concordia University of Edmonton is also supported by the Research Support Fund, a tri-agency initiative that assists Canadian post-secondary institutions with costs associated with managing research funded by the federal research granting agencies. Concordia University of Edmonton acknowledges the value of this support and appreciates this ongoing research investment. Download the news release here. See the Government’s release here.